A small plaque tucked away at the foot of the rotunda at Lambton Park commemorates the beginning of football in Newcastle. In 1885 the first recognised football match in the Newcastle area was played between two teams representing south of Lambton and north of Lambton. The first football club formed in Lambton was the Lambton Thistles in 1885. They played at Lambton Park. When Thistles folded, another club, East Lambton Rangers were formed. The played out of Griffith Flat. Griffith’s Flat was the area around the southern section of Verulam Road and Bindera Road. 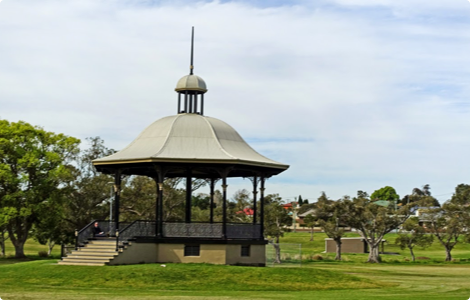 Today it is called Johnson Park, named after a former mayor of Lambton. East Lambton's colours were blue and yellow. 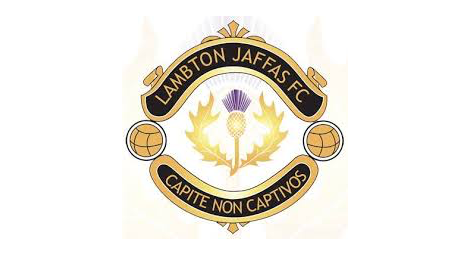 Lambton Jaffas started off as the senior team of Lambton Soccer Club which was established in 1957. The nickname 'Jaffas' was first used in 1978 when Ernie Lamb had to differentiate between a newly formed 'All Age' and the 2nd Division senior club. Originally, the club one committee to run the Junior and Senior teams. However, in 1980 two committees were formed. The club was incorporated as Lambton Jaffas Soccer Club in 1987, with a Juniors and Seniors division. In 2008, Lambton became a Football Club.